Produced in the tradition of the classic Pennsylvania or “Monongahela” rye whiskys, Rittenhouse is a much acclaimed rye now enjoying a comeback throughout the country as today’s sophisticated American whisky consumer re-discovers classic whisky styles. Likewise, the brand is beloved by mixologists for its robust style and enjoys a renaissance as cocktails regain popularity. 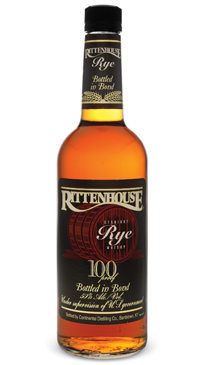 Available in the standard 80° bottling or in a special Bottled-In-Bond 100° expression, Rittenhouse is produced in the tradition of the classic rye whiskys that were once the preeminent American whisky style, kept alive through the lean years by Heaven Hill and two other distilleries.